Can we really blame Amazon for the fall of Toys R Us? Another sad week for the retail industry as Toys 'R' Us and Maplin fell into administration. "It's because of Amazon," a person in our office declared. And his sentiment was shared by a number of journalists reporting the news. Of course, Amazon and the rise of online shopping has completely changed our buying behaviour - and retailers have had to quickly adapt to compete with the online giants. But, in the case of Toys 'R' Us, it's hard to place sole blame on Amazon for its downfall. Consumers, today, demand enjoyable and memorable experiences from brands. They need a reason to come and visit stores - and that's why we read so many articles about how technologies such as VR and AR will revolutionise the retail industry. 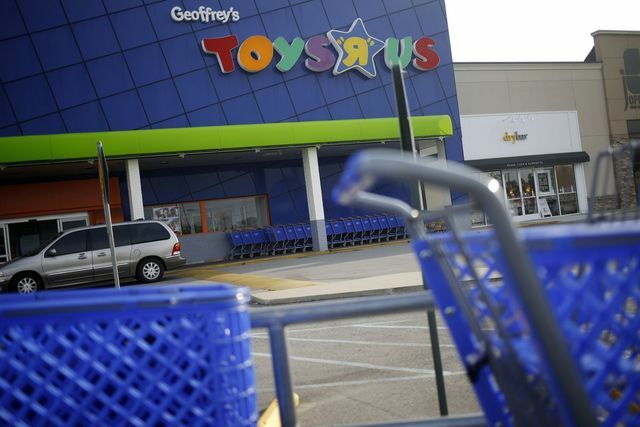 The Toys 'R' Us shopping experience, however, fell short of what consumers want. Far from the "magical place" described in the advert jingle, Toys 'R' Us stores were tired and generic. The shop format remained unchanged from the 90s, with many out-of-town warehouses laden with toys on supermarket aisle style shelves. It lacked imagination for a place where fun, excitement and creativity should be never-ending. The retailer did try to make changes and embrace digital - introducing click and collect services to boost footfall and creating smaller stores in shopping centres but it was too late. So while Amazon may have been a contributing factor in Toys 'R' Us' downfall, it is by no means the main reason. Retailers, today, need to give shoppers a reason to come to them. And once they get there, brands need to exceed consumers' expectations and deliver an experience that makes them want to come back again and again. Sure, a strong online presence is a must but in order to compete in today's tough retail business, brands need to stand apart from the crowd and create an experience that sparks emotion, imagination and buzz - both in-store and online. New technologies will help but its also about understanding what your customers want and going above and beyond to deliver it.